International Mud Day is a day of natural play that happens across the globe. The day is celebrated on June 29th and was created by Australian member of Nature Action Collaborative for Children, Gillian McAuliffe, and Nepalese member, Bishnu Bhatta. 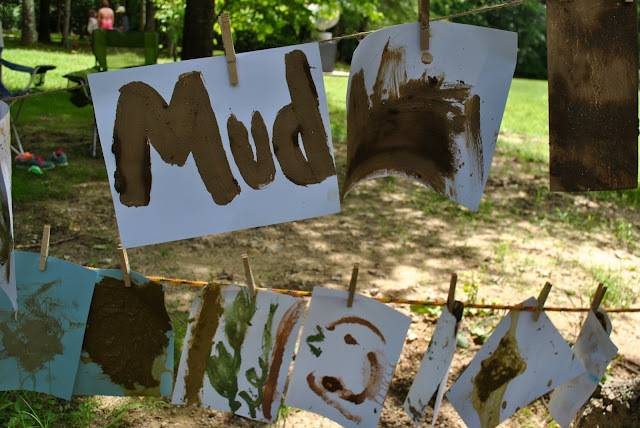 The pair decided to use mud as a worldwide unifying medium for this day of natural play and celebration. Their mission is to bring children, their parents, and childhood development professionals together in a day to appreciate the joy of the outdoors. Here are my Top Ten Muddiest Moments of Mud Day. 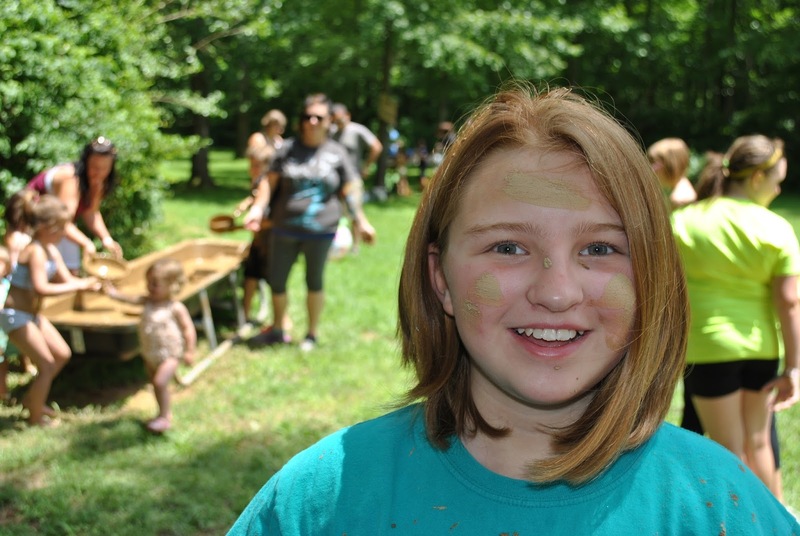 One thing that instantly stood out while entering Annmarie’s first ever Mud Day was the ever so muddy smiles! Dripping with mud you were immediately greeted with smiling faces from both children and their parents. 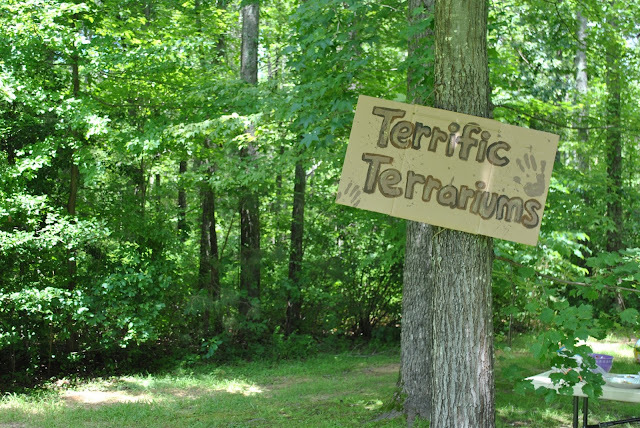 Annmarie’s Mud Day was made out of four very muddy stations, one of which was Terrific Terrariums. Terrariums are small containers enclosed to grow and display plant life. 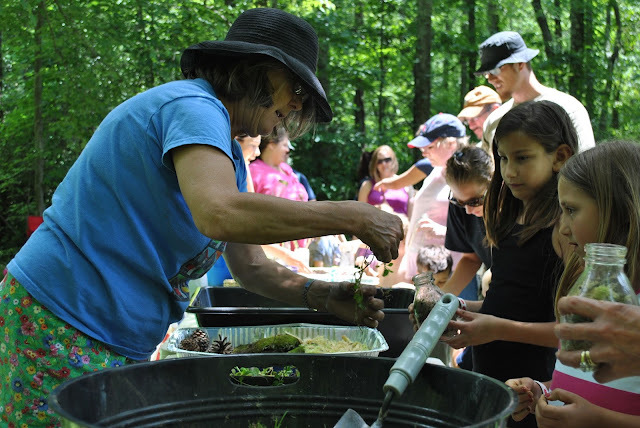 In the spirit of the Earth and reuse, Annmarie staff members used a variety of recycled jars for the guests to make their very own take-home terrarium. 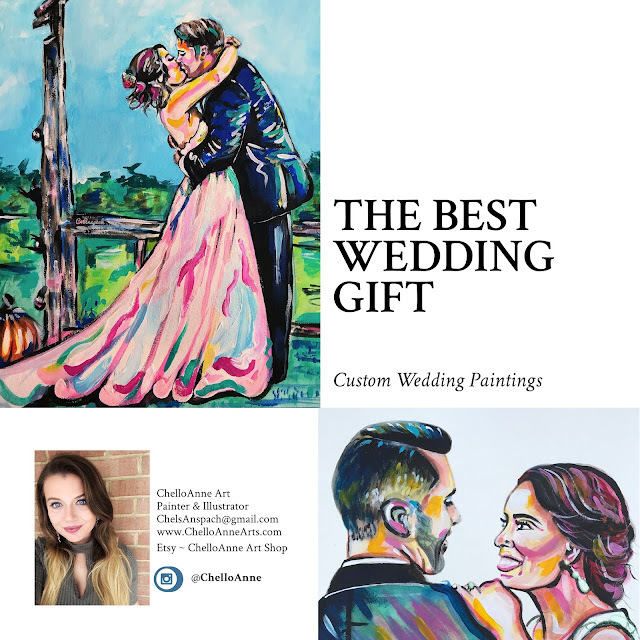 Forget what you know about traditional painting! The Magic Mud Painting station breaks all the rules! 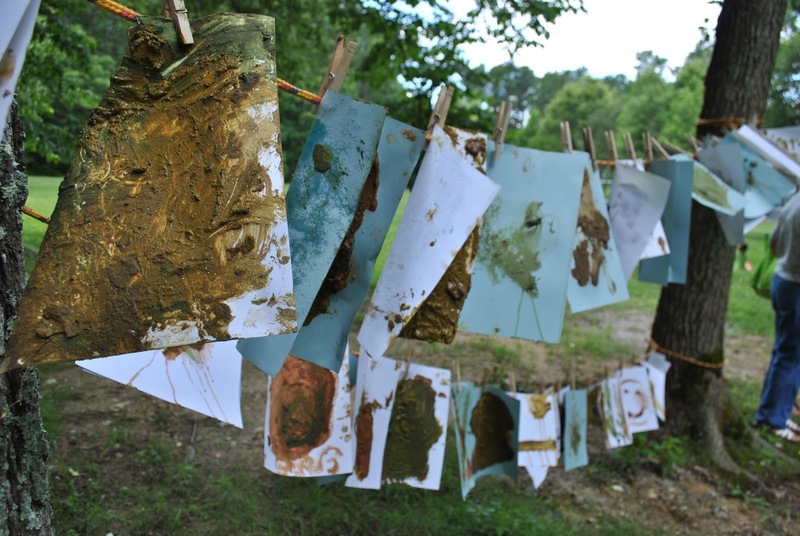 Paintbrushes and a special mixture of mud, paint, glitter, vinegar and baking soda are used to create beautiful masterpieces to take home and hang on the fridge. Move over Starbucks! Annmarie’s Mud Café is bringing us the java in an unconventional way. 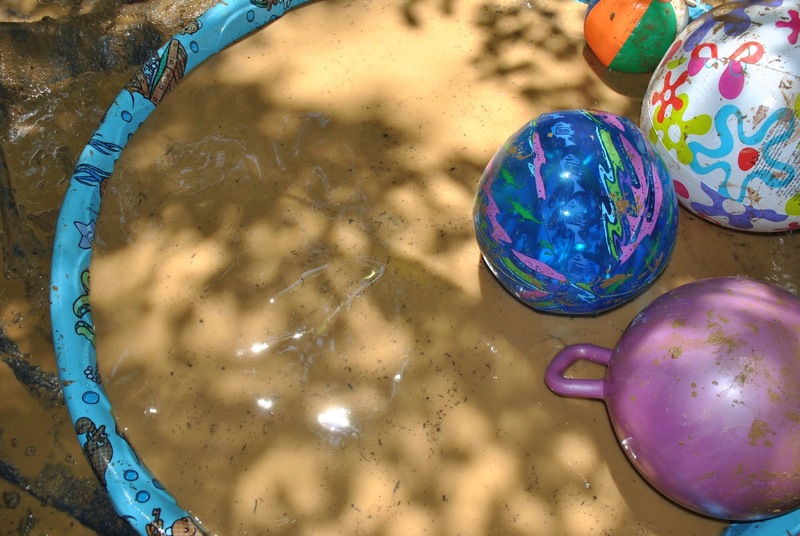 Children could play in the mud with reclaimed pots and pans using their imaginations to create their very own muddy recipes. Annmarie Sculpture Garden is rich with trees along its quarter-mile sculpture path. 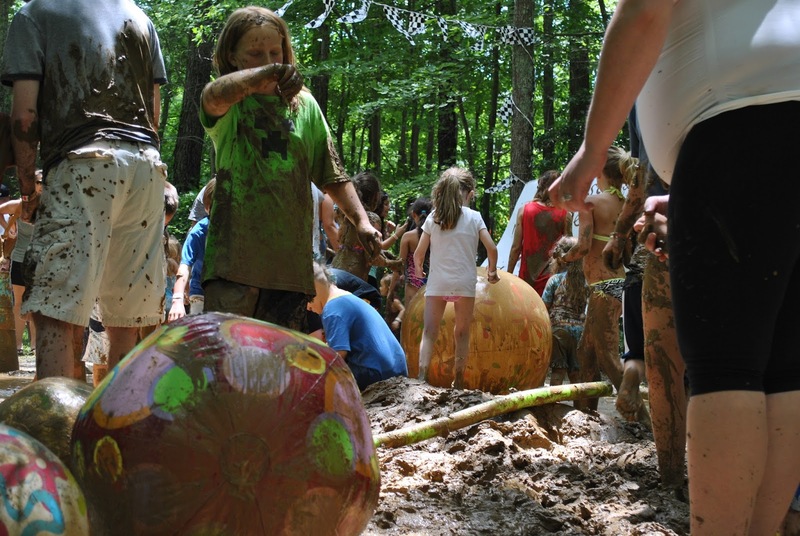 Guests of Mud Day could take a handful of clay and squish it on a tree to form a face. 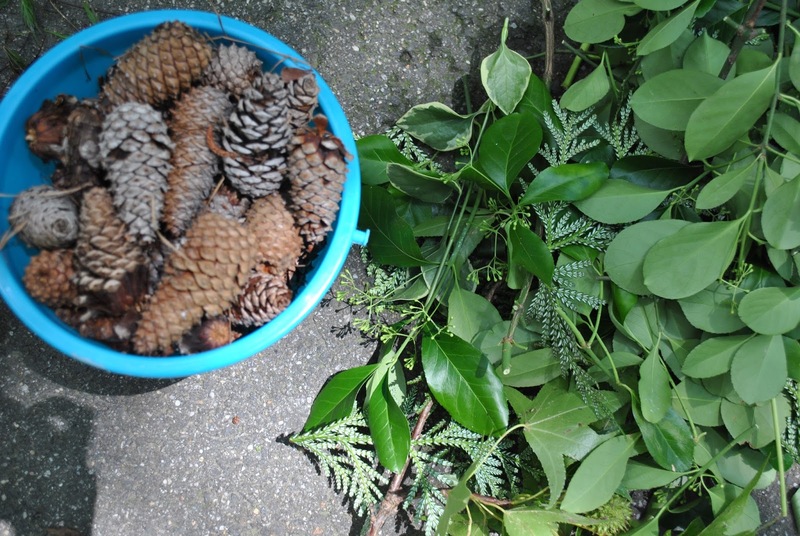 Natural objects such as pinecones, acorns, and pine needles were used to make the squish-able facial features. 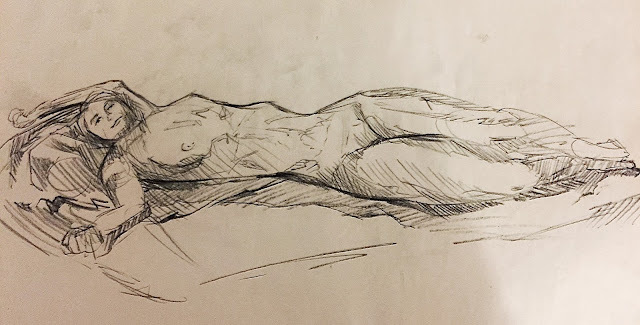 The natural and temporary artistic faces were enchanting next to the big bronze sculptures-- the perfect combination of high art and the natural world. Over in the Mud Café, guests could not only get their hands dirty cooking up mud recipes, but they could “bake” a mud cupcake to take home with them. 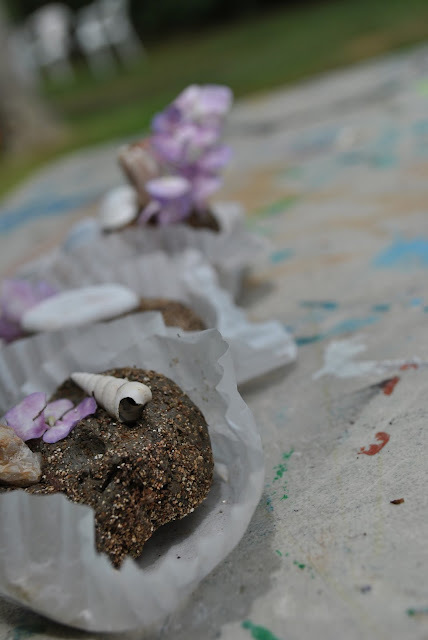 Staff and volunteer members helped visitors mold their very own seed bomb (a combination of clay, soil, water, and a lavender wildflower seed mixture). After they formed the perfect seed bomb, they were given a cupcake liner to put the seed bomb in and a dried flower as an accent for the top. 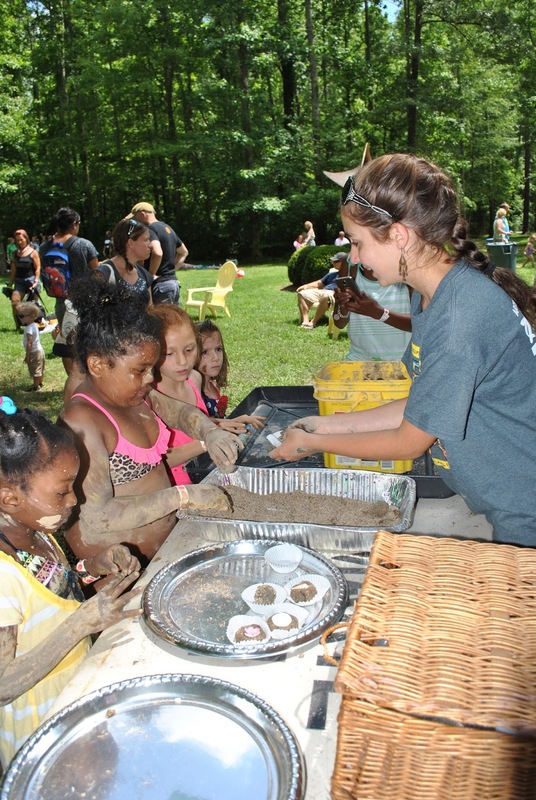 The mud cupcakes were meant to be a take away from the event that allowed guest to continue their interaction with nature when they were home. 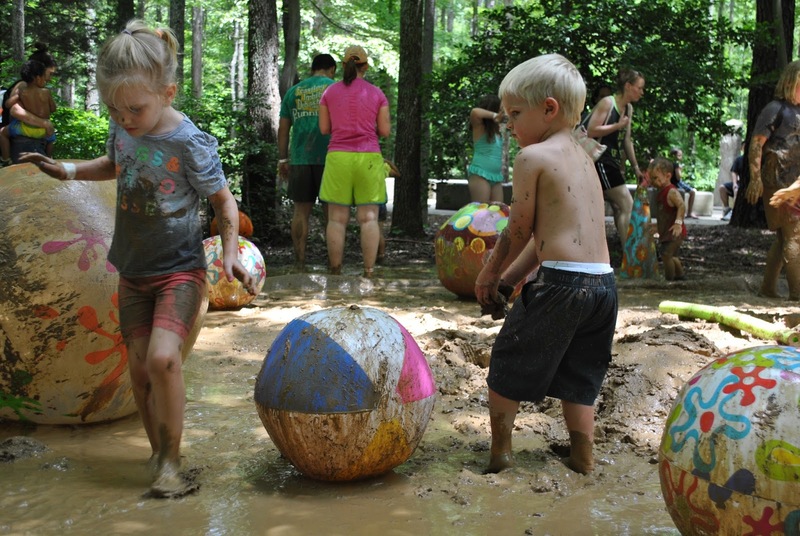 The hesitation to touch the mud was probably one of the more comical things at Mud Day. There were two types of people at the event: the Hesitators and the Belly Floppers. The Belly Floppers saw the mud and were in that mess in the blink of an eye. The Hesitators squirmed, complained, eventually started to poke around, and then finally warmed up to the glorious squishy mud. It was funny to hear several parents telling their children “This is the one time you can do this, now go throw a mud ball at your brother!” This to me was pure magic! Walking into the Mud Day event you would assume everyone in the crowd was close friends. 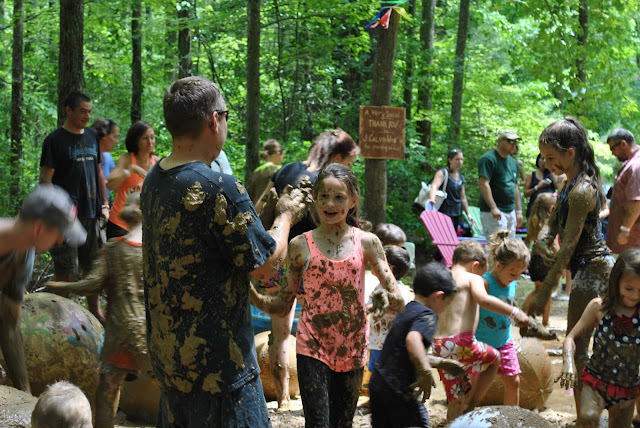 All of the families in attendance were laughing, throwing mud at each other, and acting like it was the most normal thing in the world. 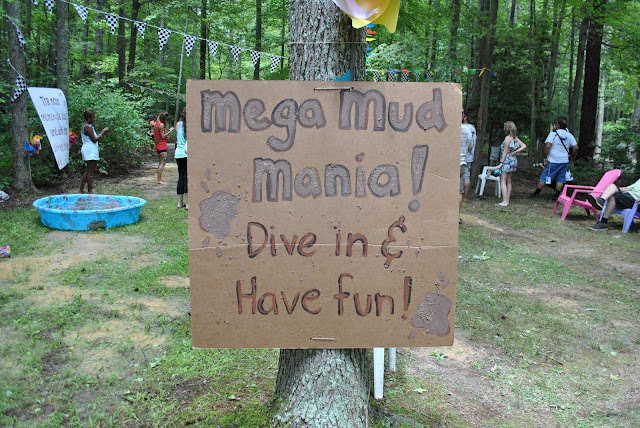 If a mud-less person walked up to the Mud Pit (child or adult) you would hear someone scream “NEWBIE! GET THEM!” and that person would be instantly covered with mud and lost amongst a crowd of identical mud beings. In a galaxy far, far away… there is a planet that has never seen or heard of this thing called mud. This is not that planet. The Mud Pit at Annmarie’s Mud Day was incredible to say the least. 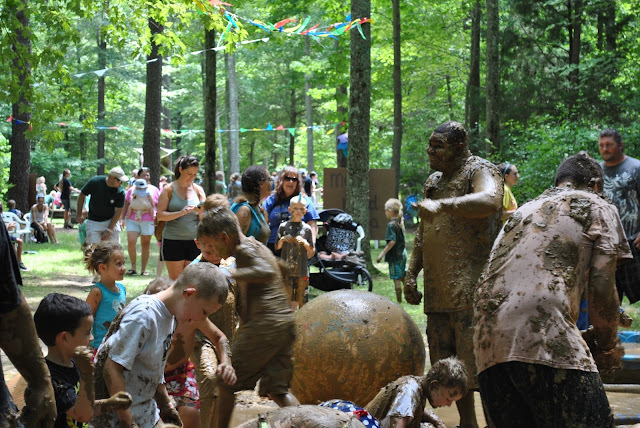 Here you are surround by tall pine trees and beautiful sculpture and you are covered with mud trying to dodge the mud ball being thrown by the person across from you. The Mud Pit was simply a big pile of mud that was the center of mess during Mud Day – it was the watering hole of fun and comradely. Every so often gardening sprinklers that were tied to the trees would go off to add to the muddy mess. It was a basic concept that could not have been anymore amusing to all the people in attendance. 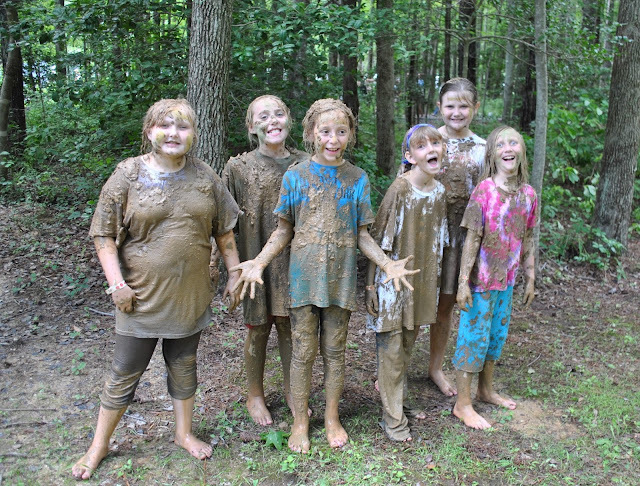 The Mud Pit was a beautiful place of chaos where friendships were made and nature was truly appreciated. The # 1 muddiest moment of Mud Day is without a doubt the muddy international connection. Mud connecting children, parents, and childhood professionals all over the globe for one day of natural play all using the same medium of mud is a miraculous thing. 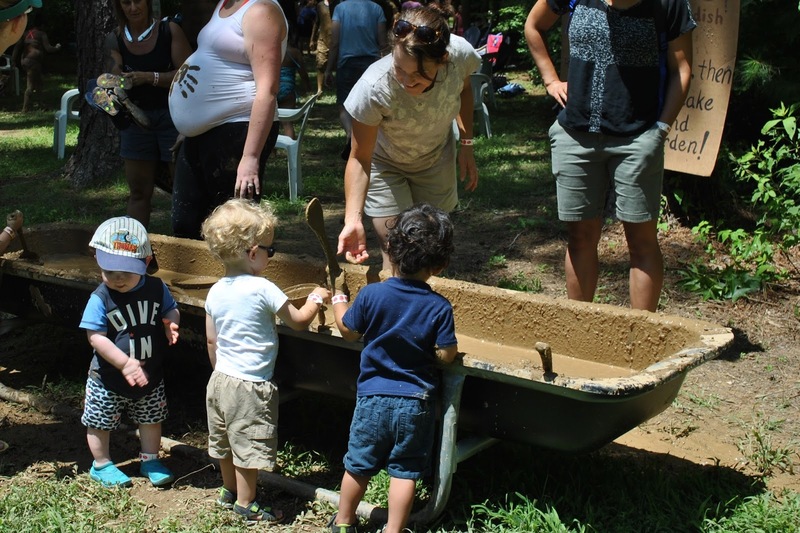 Although Annmarie Sculpture Garden celebrated their mud day one day early, it is the thought behind it. A child in southern Maryland is doing the same thing a child on the opposite side of the world is doing, and these small human connections are needed more in this world.